Like Prozac and Viagra before it, BOTOX® treatment has become an established brand name in its own right and for good reason: because it just plain works. When you concentrate, squint or frown, the muscles in your face contract. After years of frequent contraction combined with other environmental and lifestyle factors, lines and wrinkles will form and eventually become permanent. When the muscles in our face move, a message is sent from the brain via nerves to the muscles, instructing them to contract. Anti-wrinkle injectables are a natural protein that works by interrupting this process, leaving those muscles unable to crease the skin. Our professional experts in Newcastle provide a safe and trusted environment for this procedure. Wrinkles around the eyes can be smoothed by injecting dermal fillers, whilst maintaining your movement. 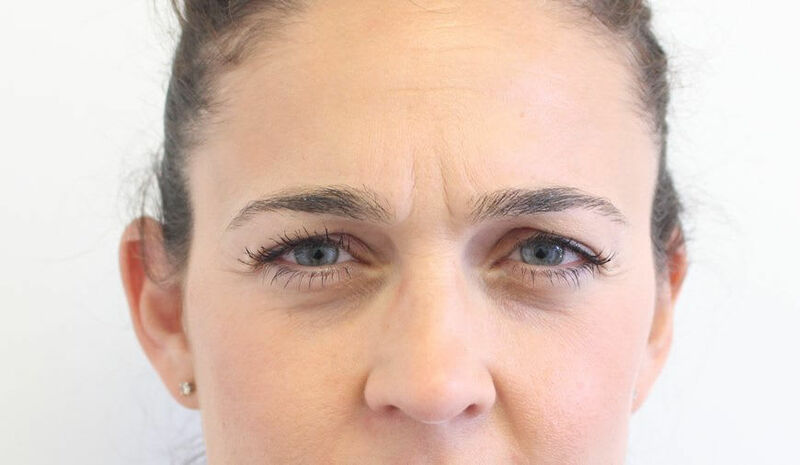 Often called “frown lines”, they appear between the eyebrows and can be reduced by having anti-ageing injectables. sk:n is home to more consultant dermatologists, doctors, plastic surgeons, nurses and therapists, than any other UK dermatology service provider. The sk:n team in Newcastle will ensure that your visit to the clinic is truly worthwhile: at sk:n we are passionate about helping you discover better skin. So, whether you suffer from acne, unwanted facial hair, regret an old tattoo, or simply just want to freshen up your complexion – we have the most effective treatments on the market to help you achieve the results you long for. Skn Clinics Newcastle Grey Street are rated an average of 4.9 out of 5 for BOTOX® Injections based on 38 reviews. Check out our rejevenation packages and save even more! Click here for details. DO BOTOX® INJECTIONS REALLY PREVENT SIGNS OF AGEING? It has been reported that, if used regularly, anti-wrinkle injectables can delay and prevent the signs of ageing. As we know facial movement such as squinting and frowning can cause lines and wrinkles. Botulinum toxin restricts facial muscle movement which means signs of ageing can be prevented. You can carry on with your day as normal immediately after leaving the clinic, although it’s important to avoid anything strenuous for 24 hours such as going to the gym. Side effects are rare, but occasionally some clients experience bruising, but this usually fades quickly. Before you leave the clinic at the end of your treatment, we will book you in for a free check-up 2 weeks later, so that we can review the results of your treatment once it has taken full effect. We can also book your next appointment in 3-4 months times to ensure you maintain your new look! Using high SPF sun cream to protect your skin from sun damage can keep your skin looking younger for longer. WHICH AREAS CAN BE TREATED WITH BOTOX® INJECTIONS? BOTOX® injectables are mainly used for the face. 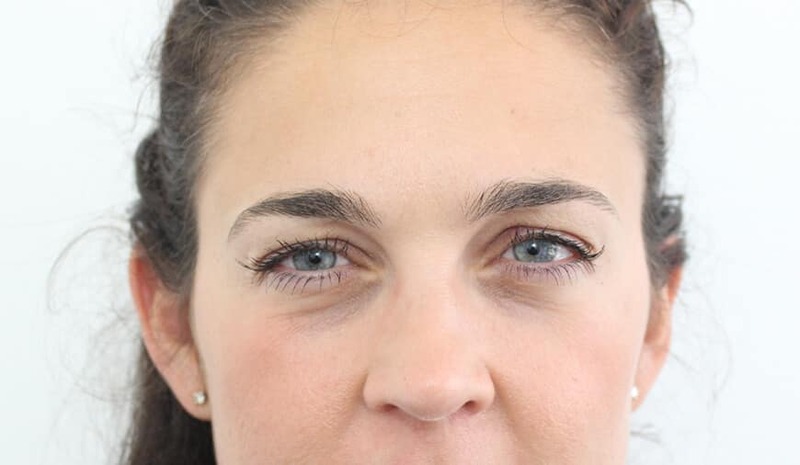 Forehead wrinkles, crow's feet lines around the eyes, and the "11 lines" between the eyebrows are the most popular areas. However, other uses include preventing excess sweating. Anti-wrinkle injectables are made from a drug made called Botulinum Toxin which has been FDA approved and used for both medical and cosmetic purposes for over 20 years with no known adverse effects. Like most cosmetic treatments, side effects can occur, some clients report mild bruising whilst very occasionally- approximately 1-3% - experience a 'droopy eyelid' both however can be corrected or will fade in time. To reduce the risk of complications it is important that anti-wrinkle injectables are administered by highly qualified practitioners in a safe and medical environment. WHAT HAPPENS AT MY CONSULTATION? Your consultation for BOTOX® treatment will be with a highly trained medical professional who is experienced in administering injectables. In order to ensure we achieve the results you want, we will discuss with you your skin concerns, timings and finances. Our consultations are no obligation and we aim to help you understand the treatment, its effects and how it works to prevent and/or improve your fine lines. WILL I BE ABLE TO MOVE MY FACE AFTER BOTOX® INJECTIONS? Of course! The ‘frozen’ look many of us associate with anti-wrinkle injectables is only caused when too much toxin is administered into one area. sk:n practitioners target small specific muscles that are responsible for unwanted lines and wrinkles only. This means normal facial expressions such as smiling, frowning or looking surprised will be unaffected. During your consultation your practitioner will talk you through how the treatment can be used for subtle effects so no one need know your secret. WHAT IS A TREATMENT AREA? We charge per treatment area for our BOTOX® injections. A treatment area is one of the following: vertical frown lines, crows feet, horizontal forehead lines. FINDING US: We're located on Grey Street, in the heart of Newcastle City Centre, only a 10 minute walk from Central Station. Accessible from Pilgrim Street roundabout, passed the fire station and onto Shakespeare Street which leads onto Grey Street. On street parking is available, £2.50 per hour. There is also Dean Street multi storey car park at the bottom of the street.